After the brainless marches and rioting by Liberals against our new President, a new group started today. 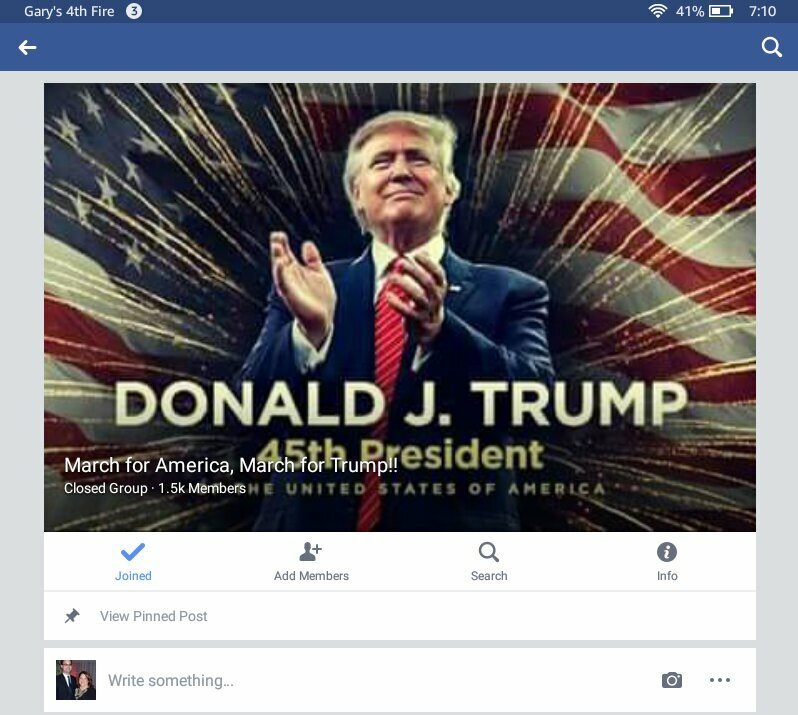 On Facebook, patriots Shurrie Pennington-Prescott and Precious Mixon have starred a group to organize marches across America in SUPPORT of President Trump. The group is called “March for America, March fur Trump!” With no real publicity, this group is rapidly growing and cruised 1,500 members in just hours. Go join on Facebook. Now. Really. Right now! its gonna be smaller than the other march. dont forget that the numbers of people who showed up to elect trump werent far from the ones that showed up to support clinton. im not a republican supporter, i simply think we had a duty to get the democrats out of the white house– good job on that one. i had a nice time hanging out with trump supporters on election day. Great idea! Keep this posted with updated info. Need something for those of us who despise FB.